I remember clearly the first time that I “met” Lady Jane Grey. It was April 2, 1977, the first full day of my very first visit to London. The tour group I was traveling with arrived at our first destination – the Tower of London – around 9:00 am, after a bus ride through the busy streets of rush-hour London from our hotel in the Swiss Cottage neighborhood in the northwestern section of the city. It was a rather dreary early-April day in southern England, with the kind of chill that cuts through to the bone and – although it was not raining – skies that threatened to open up at any minute. I felt a sense of nervous excitement come over me – I was, after all, traveling in a strange country, far from home without my parents for the first time in my life and, despite the fact that I was with a group of students, including my cousin Barbara, who was my room mate and, although she is only two years older than me, my “chaperone” for the 10-day Easter break trip, I felt very much like a stranger in a strange land. As we approached the Tower it didn’t look anything like I had imagined – I expected to see one tall tower, not a complex of buildings. One of the students yelled “hey look – there’s an alligator in the moat” and, after we all instinctively looked to see it, everybody laughed – there was not even water in the moat, let alone an alligator! As we walked farther and farther into the Tower, underneath the arches of the Middle Tower and the Byward Tower and down Water Lane, the Tower’s gruesome past became more apparent as we passed Traitor’s Gate and finally stood before the infamous Bloody Tower, where I head read, the Little Princes had been murdered. We eventually made our way past the White Tower and into the Inner Ward, and arrived at the “site of the ancient scaffold”, a concrete space in front of the Chapel of St. Peter ad Vincula. The Tower of 34 years ago was a different place than it is today – the execution site was believed to have been the site marked in front of the Chapel, not the actual execution site on the parade ground between the White Tower and the Victorian Waterloo Barracks, and the unfortunates executed on Tower Green were commemorated not by the current execution site memorial but by a rather ugly plaque, placed on a pole several feet above the ground, upon which was printed the names of those executed along with the dates of their executions. I didn’t recognize most of the names listed – only Queen Anne Boleyn, who I knew had been Henry VIII’s second wife and, to a lesser extent, Queen Katherine Howard. Our tour guide, Liz, began reading off the names on the plaque, giving a brief description of each – William, Lord Hastings . . . Queen Anne Boleyn . . . Margaret Pole, Countess of Salisbury (with the story of the executioner chasing her around the scaffold) . . . Queen Katherine Howard . . . Jane, Viscountess Rochford . 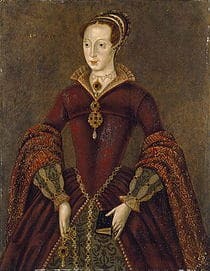 . . Lady Jane Grey, the 9-Days Queen, who was very young and never wanted to be queen, but was an innocent pawn of her father and father-in-law . . . Robert, Earl of Essex, Queen Elizabeth I’s favorite . . .
What was it about Lady Jane Grey that piqued my curiosity about her that dreary day over 34 years ago? I’m not exactly sure. Maybe it was our shared youth. All I know was that I became obsessed with finding out all I could about this young girl, who had been condemned so unjustly and had met death so bravely. My search began with books that I had bought that day at the Tower. When we finally returned to our hotel room that evening, following a tour of the remainder of the Tower precincts (although, unfortunately, not the Chapel Royal of St. Peter ad Vincula, final resting place of my new “friend” Lady Jane Grey and my heroine, Anne Boleyn), and Westminster Abbey (which I decided upon walking through the West Door was the most beautiful place in the world), I began my quest for knowledge. As I flipped through one of my guidebooks, “Prisoners in the Tower”, I saw a portrait of a girl in a gold and burgundy dress with fur sleeves, wearing a French hood. I clearly remember thinking “she’s pretty”, and hoping that it was Jane, which was confirmed by my reading the caption. (Unfortunately, the portrait has since been declared to be of Katherine Parr, Henry VIII’s sixth wife – one of the many aspects of my early research that has been found to be inaccurate). Lady Jane was born, by tradition, in October 1537 at Bradgate Park in Leicestershire, ancestral home of her father’s family, the Greys. Her father, Henry Grey, Marquess of Dorset, was a great-grandson of Edward IV’s queen, Elizabeth Woodville, by her first husband, Sir John Grey of Groby. Her mother, Frances Brandon, was the eldest daughter of Princess Mary Tudor, youngest daughter of King Henry VII, and her second husband, Charles Brandon, Duke of Suffolk, making Lady Jane the great-granddaughter of Henry VII and the great niece of Henry VIII. Jane was named in honor of Queen Jane Seymour, third wife of King Henry VIII, and her birth was overshadowed by the birth several days later of Prince Edward, Henry’s only legitimate son. Jane grew into a serious, studious child, very different from her parents, who were more interested in court activities, hunting ana hawking, and could not understand their daughter’s lover of solitude and learning. Although children were treated harshly at the time, Jane’s parents appeared to have been exceptionally strict. In August of 1550, Roger Ascham, a tutor to Princess Elizabeth, arrived at Bradgate and found the manor nearly deserted, with most of the household hunting in the park. He found only Jane, reading Plato’s Phaedo in Greek. In her conversation with Ascham, Jane compared the harshness of her parents to the kindness of her tutor, Dr. John Aylmer. When she was with her parents, she said, she must to things as perfectly as God made the world, or else she was taunted and threatened until she thought herself in hell; on the other hand, Dr. Aylmer was so pleasant to her that she wept when her lessons were over. Jane had a brief respite from the cruelty of her parents when, in 1546 at the age of 9, she joined the household of Queen Katherine Parr. After Henry VIII died in January of 1547, Jane became the ward of Thomas Seymour, who had married Queen Katherine shortly after Henry VIII’s death. Seymour plotted with Jane’s parents to have Jane marked to his nephew, King Edward VI. Jane thrived under Katherine’s gentle guidance, but unfortunately her happiness was to be short-lived. Jane moved with Katherine and Thomas Seymour, who was Lord Admiral, to Sudeley Castle in Gloucestershire. On August 30, Katherine, who was about 36 years old at the time, gave birth to her only child, a daughter named Mary. Six days later Katherine died of puerperal sepsis. Jane served as chief mourner at Katherine’s funeral at St. Mary’s Church in the grounds of Sudeley Castle before being returned, heartbroken, to her parents at Bradgate. Shortly thereafter, in March 1549, Thomas Seymour was executed for treason. One of the charges against him was that he plotted to have Edward VI married to Lady Jane Grey. Like King Edward VI, who was her mother’s cousin, Lady Jane Grey was a staunch Protestant. Her parents, proponents of the New Religion, saw that she was educated by the top Protestant tutors of her day. With her passion for learning, she became one of the most brilliant female scholars in England. Her royal blood, along with her ardent Protestantism, and her intelligence, made her a desirable choice as a bride, and after the fall of Thomas Seymour when it became apparent that she would not become Queen Consort to Edward VI, she was considered as a bride for Edward Seymour, Earl of Hertford, son of Edward Seymour, Duke of Somerset and Lord Protector. However, after Somerset’s arrest in October of 1551 and subsequent execution on January 22, 1552, nothing came of these plans. As Edward VI’s health declined, Somerset’s successor, John Dudley, Viscount Lisle and later Duke of Northumberland, plotted with Henry Grey to have his fourth son, Lord Guildford Dudley, married to Lady Jane. Dudley realized that if Princess Mary, a devout Catholic, succeeded Edward VI as monarch, his high position, and probably his life, would come to an end. According to the will of Henry VIII, if Edward were to die without issue, the line of succession would be as follows: Mary, his elder daughter; Elizabeth, his younger daughter; Lady Frances Grey, daughter of his sister Mary; Frances’s daughters Jane, Katherine and Mary; and Mary, Queen of Scots. Northumberland convinced the Greys that Frances should relinquish her place in the succession to her eldest daughter Jane, and then persuaded Edward VI that in place of his sisters, who had both been declared illegitimate by their father, and due to the fact that Jane was undoubtedly a Protestant, Lady Jane and her heirs male should be appointed as his heir. And, of course, if Lady Jane was married to Guildford Dudley, those heirs male would be the grandsons of John Dudley! Jane disliked Guildford and hated and distrusted Northumberland, and when she was told that she was to marry Guildford Dudley she refused. However, her parents beat her into submission, and the couple were married on Whit Sunday, May 21, 1553. Jane had originally been told that she would be able to return home after the wedding, but after the ceremony her mother-in-law informed her that she must remain with her husband because if the king died she would be his heir and, as such, would be required to go to the Tower. Jane refused to believe this, thinking that it was an excuse to keep her from going home. While living with the Dudleys Jane became ill, perhaps having some sort of nervous breakdown. She was convinced that the Dudleys were trying to poison her. Eventually she was permitted to move to Chelsea Manor, which had been Katherine Parr’s dower house, in order to recuperate. Edward VI died on July 6, 1553. On July 9 Jane, who as yet was unaware of the king’s death, was brought to Syon House to meet the Council. She was astounded when an assembly of nobles, including her mother and mother-in-law, knelt before her. Northumberland announced the king’s death and told Jane that she was now queen. Lady Jane fainted and then lay on the floor weeping at the news. Upon recovering she prayed to God for guidance and, getting no response, decided that it was God’s will that she should be Queen of England. The following day, July 10, Jane was conveyed to the Tower in order to prepare for her coronation. Sir Baptists Spinola, a Genoese merchant, described Jane as a smiling girl with dark eyes, red hair and freckles, very small and thin, and having red lips and good teeth. She was wearing a a green and gold gown with a white headdress and chopines to make her look taller, with her mother carrying her train. Northumberland had planned that, as well as Jane being queen, Guildford should also be crowned king. This is when he discovered that Jane was not going to be the meek puppet-queen that he had expected her to be. Jane refused to make Guildford king, offering to make him a duke, but stating that only Parliament could make him king. Guildford ran crying to his mother, who came in and threatened Jane if she did not do as she was told. Frances Grey entered the fracas, and a great row ensued within the Tower. The people of England rallied behind Mary, believing her to be the rightful queen. Within 2 days Mary had an army of 30,000 men offering to fight for her cause. Northumberland left the Tower with 600 soldiers to confront Mary and her supporters. However, Mary was proclaimed queen at Norwich, and as the news spread, the country affirmed its support. Northumberland’s army abandoned him, and he made his way to Cambridge, where he declared himself a Catholic and also affirmed Mary’s right to the throne. When the news reached London the populace erupted with joy. Bonfires were lit, church bells rang, and people partied in the streets. Lady Jane’s 9 day reign was over. It was Henry Grey who broke the news to his daughter that she was no longer queen. After he tore down the cloth of estate from above her head, Jane asked her father if she could go home. Jane would never least the Tower again. She was moved from her lodgings in the royal apartments to the home of Nathaniel Partridge, the Gentleman Gaoler. In the beginning, Queen Mary was inclined to be merciful. Northumberland was executed and Jane and Guildford were sentenced to death for treason after a trial at the Guildhall, but it was generally believed that they would be held at the Tower for a few years and then released to live in obscurity at a country estate. Everything changed a few months later, when Henry Grey, who had been released by Queen Mary, became involved in Wyatt’s Protestant Rebellion, a conspiracy against Mary’s proposed marriage to Philip of Spain. Although the object of the plot was to overthrow Mary in favor of her half-sister Elizabeth, and had nothing to do with Jane, Mary realized that as long as Jane was alive she would be a danger to Mary’s throne. Mary signed Jane and Guildford’s death warrant, although she gave Jane a brief reprieve in order to try to convince her to convert to Catholicism. Jane, being as fervent a Protestant as Mary was a Catholic, refused, and she and Guildford were both executed on February 12, 1554 – Guildford on Tower Hill and Jane, because of her royal blood, within the walls of the Tower on Tower Green. Jane was determined to die like a martyr and in her execution speech she admitted to being a sinner, and saying that she committed treason for accepting the throne even thought she did not seek it. She affirmed her Protestantism by stating that she would be saved by her faith in the mercy of God along, and requested the audience to assist her with their prayers while she was alive – their prayers for her after her death were worthless as she would already be in God’s presence. Mercifully, she was beheaded with only one stroke of the axe. This was the portrait of Jane that was accepted until the 2009 publication of Leanda de Lisle’s book, The Sisters Who Would Be Queen – Mary, Katherine and Lady Jane Grey. Ms. de Lisle questions many of the previous assumptions about Jane’s life. She believes that Jane was born in London sometime between the late Spring of 1536 and mid-1537, not in October 1537 as has been traditionally believed. Also, she can find no evidence that Jane and Guildford’s marriage was as unhappy as it was believed to be – that Jane was at least fond of Guildford even if she was not madly in love with him. There is also no evidence that Jane’s parents – especially her mother Frances – were the cruel abusers that they are accused of being. Many of these beliefs originate in the Victorian Era, when Jane was perceived to be in innocent, victimized woman-child and Frances was her polar opposite, the evil woman. There is no evidence or mention of Baptist Spinola’s physical description of Jane before Richard Davey’s 1090 book, The Nine Days Queen, Lady Jane Grey and Her Times, and Ms. de Lisle suspects that it is a forgery. Finally, Jane died as much for her Protestant religion as she did for the ambitions of her father and father-in-law. She condemned Catholicism as queen and continued to do so as a prisoner in the Tower. She was a player in her own story, not merely an innocent victim of the ambitions of others. So, as in any friendship, Lady Jane Grey was not necessarily exactly who she seemed to be at first glance. Although I’m having a difficult time losing my previous assumptions, the new Lady Jane is also a fascinating person. Since Jane’s life was cut short so tragically, she herself did not make a huge impact on English history. Lady Jane is so fascinating because she is one of the great lost figures in English history – nobody knows what she would have become if she had not died at the age of 16. Would she have become one of the great intellects of the Tudor Age, having her works published like her former guardian and foster mother, Katherine Parr, or would she have been a victim of Elizabethan politics, like her sisters Katherine and Mary and Mary, Queen of Scots. It’s not knowing that keeps me awake nights. de Lisle, Leanda. The Faking of Jane Grey. Vol. 11, no. 3 BBC History Magazine, March 2010. I just read over my article again – sorry for the typos, but I was really hurrying to get the article done in time and I didn’t have time to proof it. The most glaring typo that I found was the date of Richard Davey’s book – it was written in 1909, NOT 1090 like the article says! Wonderful read! Have never studied Lady Jane, but your article inspires me to do so. Congratulations and thank you for sharing your account of Lady Jane!